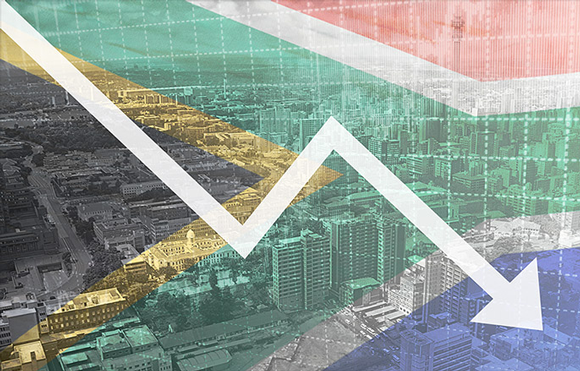 Last month, South Africa officially entered into a technical recession. According to reports, it is the country’s first since the 2008/2009 global financial crisis. So, even though corporate budgets have been under pressure for some time, the expectations are that costs would need to be curbed even more. How will this impact investments in digital innovation? Popular wisdom indicates that companies need to bunker down in times of crisis. However, given the competitive environment of the connected age, this is not possible if they have hopes of remaining relevant. In fact, now would be the opportune time to invest in enterprise resource planning (ERP) and other technology-driven solutions to capitalise on the opportunities that exist in the market. These take the form of cost reductions, productivity enhancements, and other internal-focused strategies. But perhaps more importantly, they are also available through new products and services development for additional income streams. The days of sticking your head in the sand until the storm passes are long gone. Decision-makers need to be proactive, especially when it comes to technology investment. ERP provides a platform to achieve this. When effectively plugged into the data analytical capabilities of an organisation, optimising ERP systems mean companies can more quickly adapt to market demands. Focusing on completing these enhancements from an internal efficiency perspective, provides organisations with even more of an impetus for growth once the difficult times have been overcome. Yes, short-term realities need to be part of any business strategy. Equally, the long-term vision still needs to hold true, as any economic cycle (whether positive or negative) remains temporary and the business needs to be ready for when the tide turns. One thing that remains constant (even in these digital times) is to ensure customer retention is a key priority. People are even more selective in their service providers than previously. This means that companies need reliable ERP systems that are capable of helping manage the influx of data for real-time insights. Relationships will also be a competitive advantage, particularly when economic difficulties are happening. It is all about analysing customers, reinventing solutions, and catering for their expectations. It also means that businesses need to rethink their mobile strategy, to provide the solutions people expect on the devices they prefer. Again, the data capabilities of an integrated ERP solution will help create an enabling omni-channel environment that not only serves existing customer segments, but also create new ones (with new revenue opportunities). Some might even go so far as to suggest that ERP is recession-proof. Considering the mission-critical nature of the features and business benefits provided, this might not be far from the truth. If a business today does not have an ERP system that integrates into the organisation, then it might as well close its doors. All told, ERP will be one of the most important investments a business can make during times of economic crisis. And the innovation it unlocks will set it on a strong path for the future. About the author: Stuart Scanlon is the managing director of epic ERP. epic ERP is a leading Southern African ERP planning software systems specialist and the official distributor for Epicor Software Corporation. For more information visit www.epicerp.co.za.